CS Catering Equipment is always looking for the best ways to support our customers. It is with this in mind that we are proud to offer a simple, speedy and straight forward lease finance option. Whether you are exploring finance options for a single piece of equipment or an entire kitchen, we have the means to react quickly and to get your answer as soon as possible. We will give you the same great level of service regardless of if you are an established business or a new start venture. Equipment leasing through CS Catering can provide your business with a fixed term finance option with fixed repayments and built-in tax relief. In our current economic climate, banks are no longer the easy option for equipment lending. Equipment finance can help increase your profitability by conserving your working capital, allowing you to put it to use in other more profitable ways. Leasing also allows you to purchase higher quality equipment that would have otherwise been over budget without breaking the bank. What are the tax benefits of leasing? 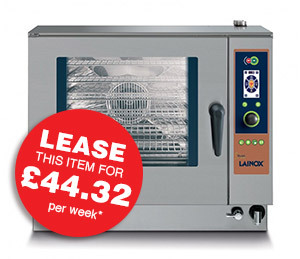 One of the great things about using leasing for your catering equipment is the tax-efficient way in which you can borrow. Simply offset the cost of leasing against your tax bill, and at the end of the fixed term you own 100% of the equipment! Due to the nature of leasing, your fixed repayments will mean you can spend your precious cash on other areas of your business. Equipment leasing is designed to provide businesses fixed term finance with fixed repayments and offer maximum tax relief (90% of the Times Top 100 companies use leasing). Will I own the equipment I lease? Yes! This is not a rental scheme, so at the end of your agreed term your equipment is just that – Yours! I am a new start business – Can I lease? Yes! We will not turn away an application just because you do not have an established business. We will consider all applications. Contact us today to see what we can do to help. If we cannot facilitate a lease purchase for you, you will be informed ASAP. We will NOT waste your time, but we will give you all the help and support that we can. * Example based on established business trading over 3 years. Leasing is for business users only. All figures exclude vat. Any tax relief illustrations assumes 20% tax rate. This may vary on your individual circumstances.